Acer Rubrum - AVAILABLE SPRING / SUMMER reserve your order now Reserved work orders accepted for Spring / Summer shipping. SEEDLINGS ARE FRESH 6- 8 INCHES TALL SOME MAYBE LARGER AT TIMES AS QUANTITY IS AVAILABLE AND WILL BE SHIPPED AS BARE ROOT WRAPPED IN MOIST PEAT MOSS AND PLANT GEL. These Starter seedlings are not available for shipping during the Fall/ Winter seasons ,.. During the Fall/ Winter Season we encourage our customers to Pre-Order , reserve thier shipments for the following upcoming Spring Foliage season. We ship out reserved orders on a first come - first served basis on our shipping work order schedule list when Mother nature decides to let the Red Maples emerge , WE HAVE NO CONTROL OVER WHEN THE MAPLES ARE READY FOR SPRING SHIPPING. 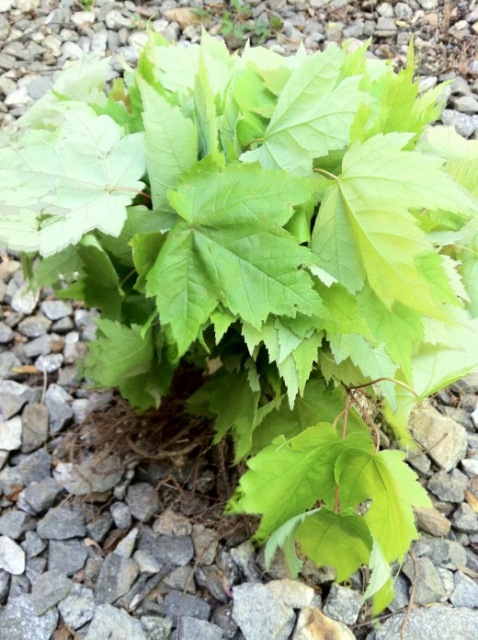 Your order will be shipped as the Maple seedlings are ready to be shipped and emerge for Spring fresh foliage. ORDER NOW TO RESERVE FOR NEXT SPRING SHIPPING SCHEDULE . The Red Maple is known as Acer Rubrum. It is found throughout the eastern United States growing wild. 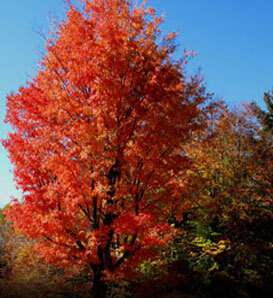 The Red Maple is probably the longest lived fast growing tree in our list living up to 150 years. An interesting thing about the Red Maple is that it has many different cultivars. The Red Maple is one of the first trees to flower in the spring, and the flowers are small and red. At maturity it can reach 60 feet in height and 40 feet wide. The Red Maple grows to be 40' - 60' feet in height. The Red Maple has a spread of about 40' at full maturity. The Red Maple grows in acidic, loamy, moist, rich, sandy, silty loam, well drained, wet, clay soils. The Red Maple is one of the best named of all trees. There is something red in all seasons - buds in winter, flowers in spring, leafstalks in summer and brilliant foliage in autumn. This pageant of color, along with the tree's relatively fast growth and tolerance to a wide range of soils, makes it a widely planted favorite.